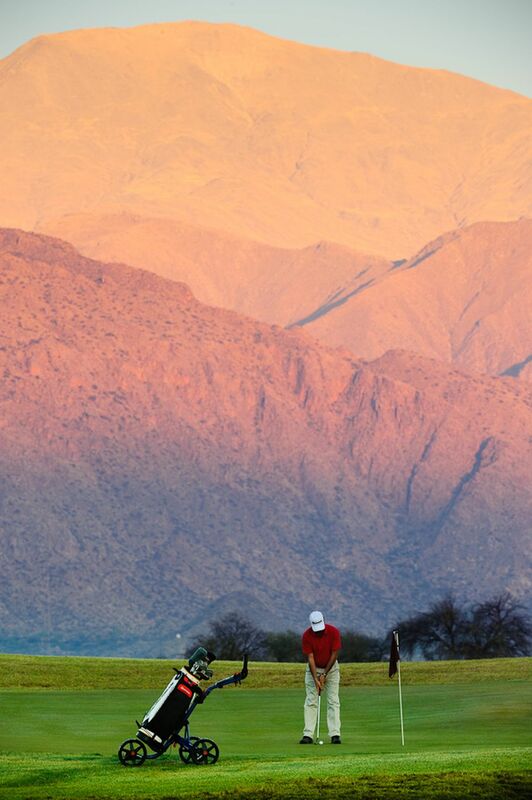 Something different in the middle of the desert towards The Andes Mountains. The is room for missed shots and recovery is possible. How far it is from the closest airport, but being the area known for it's torrontés wine it is worth a visit. We were there quite a few times and every time we go we see the course grow and get more mature. 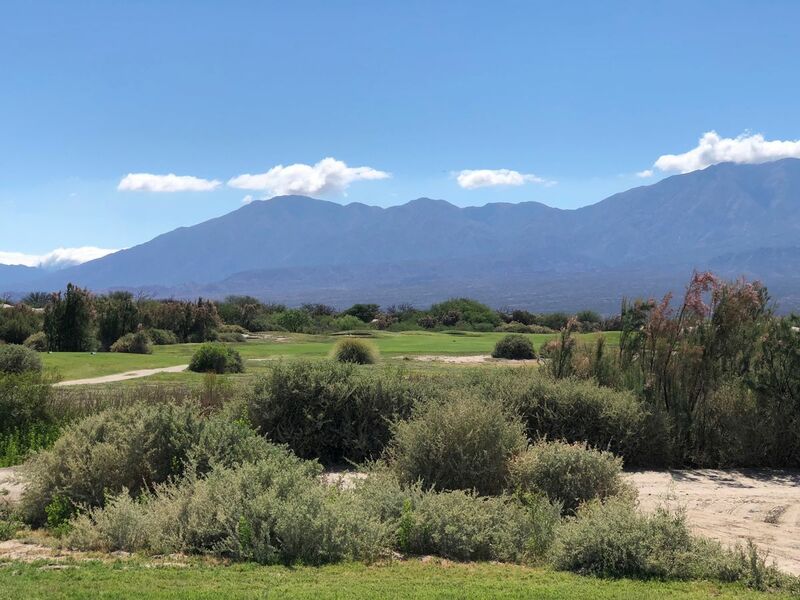 We once hear a perfect golf course is not build the first time, it needs time to get mature and Estancia is a perfect example of that. 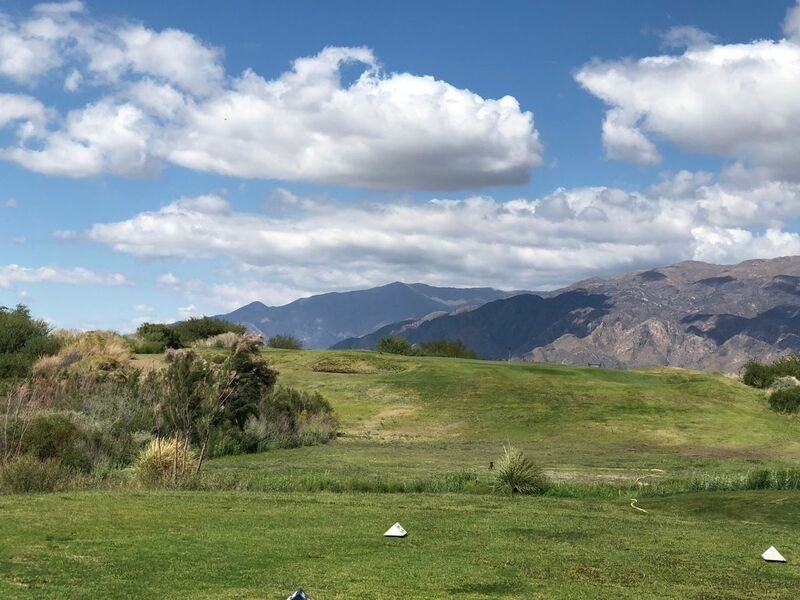 It is a wide open course where errant tee shots will always have a chance of returning to the fairway and hitting greens which are big enough. Wind is usually a factor during the afternoons so better play during the morning. Take into account course is 1600m over sea level so distances play shorter than they show on the scorecard but all the same be wise in selecting the correct set of tees. 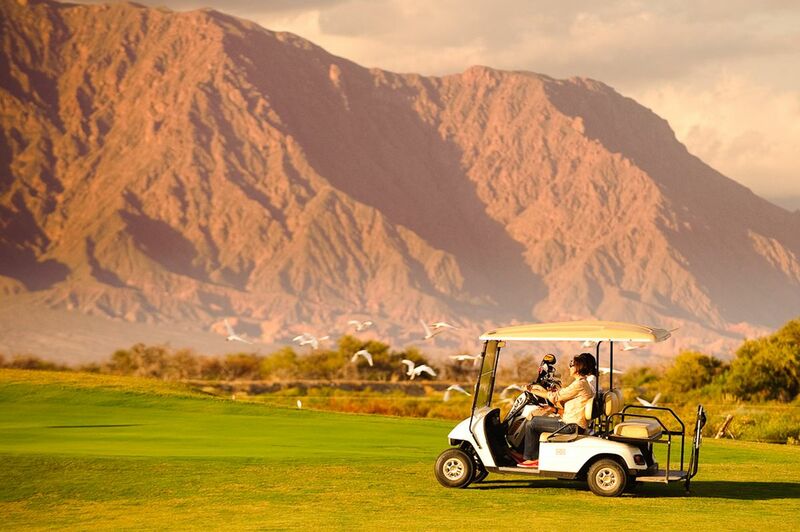 Estancia de Cafayate is a Bob Kupp design constructed by local arquitect Frankie Bunge and opened for play in 2009. It is located inside a Real Estate development in Cafayate which is know as the area of the best Torrontés Wine in the world. Since then the place has become a retirement place not only for locals but for many US Citizens who decide the quality of the lifestyle here is second to none with great food, peaceful place and one of the best climates in the world. There are many great holes at this course but 17th gets the trophy for the best one. It is a 3 shot par 5 for almost every golfer where tee shot needs to be either right or try to carry the cross bunkers. 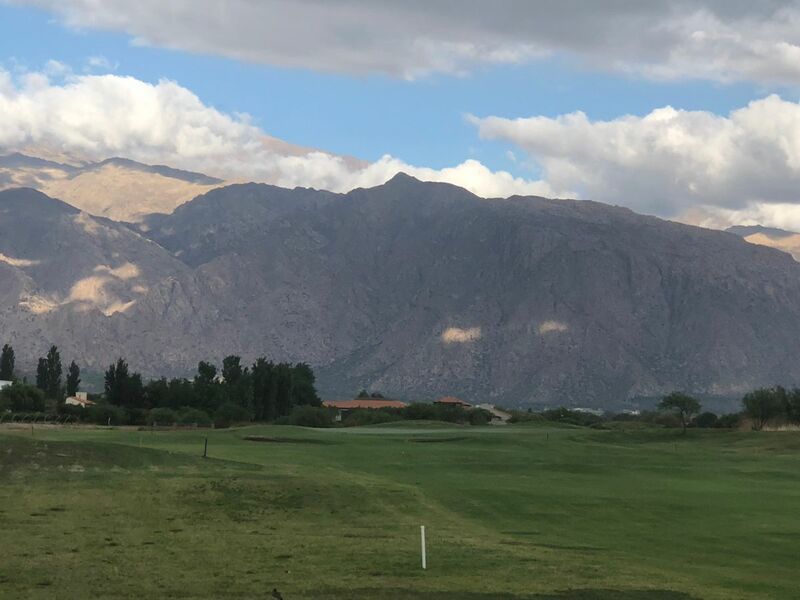 Then second shot short to the stream or the longer hitters may try to go over it before a nice approach shot to a long and ondulated green with the Andes Range completing the picture. 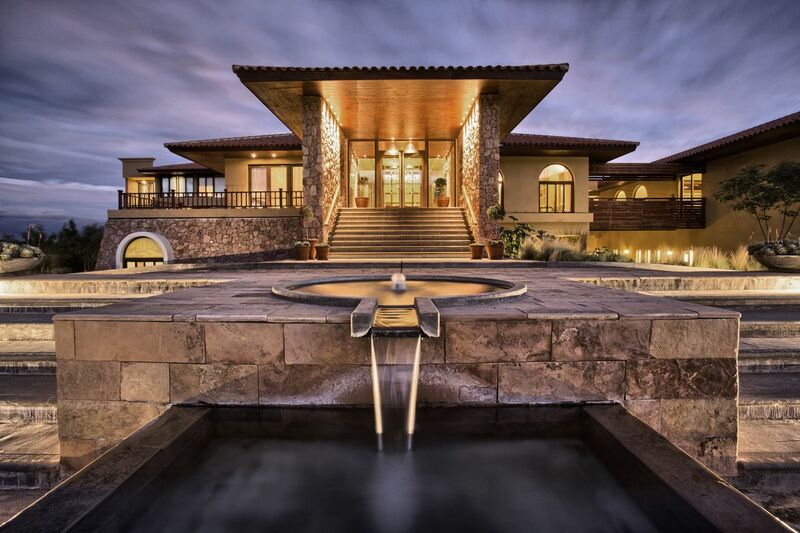 This boutique 5-Star hotel and spa offers luxury accommodation surrounded by nature in Cafayate. It has a great golf course, two polo fields, a great restaurant, a wine bar, a cigar lounge, And a Pool Bar inside the premises. Colonial 3-Star Hotel located in downtown Cafayate that offers comfort in its spacious suites with beautiful views of the Mountains. A boutique 3-Star superior hotel in the historical part of Salta City. Every room's decor is inspired by mystical indigenous personalities, but still they maintain modern comfort.